Since its insertion into the Constitution in 1983 the Eighth Amendment has forced over 170,000 women to travel to the UK to access the abortions they need. One woman every week makes that journey from Kerry. 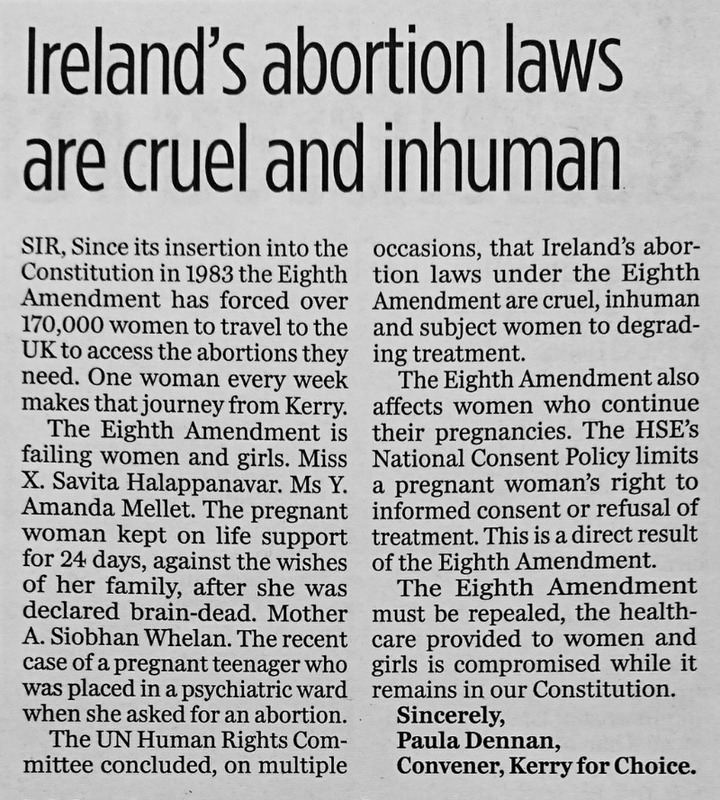 The Eighth Amendment is failing women and girls. Miss X. Savita Halappanavar. Ms Y. Amanda Mellet. The pregnant woman kept on life support for 24 days, against the wishes of her family, after she was declared brain-dead. Mother A. Siobhan Whelan. The recent case of a pregnant teenager who was placed in a psychiatric ward when she asked for an abortion. 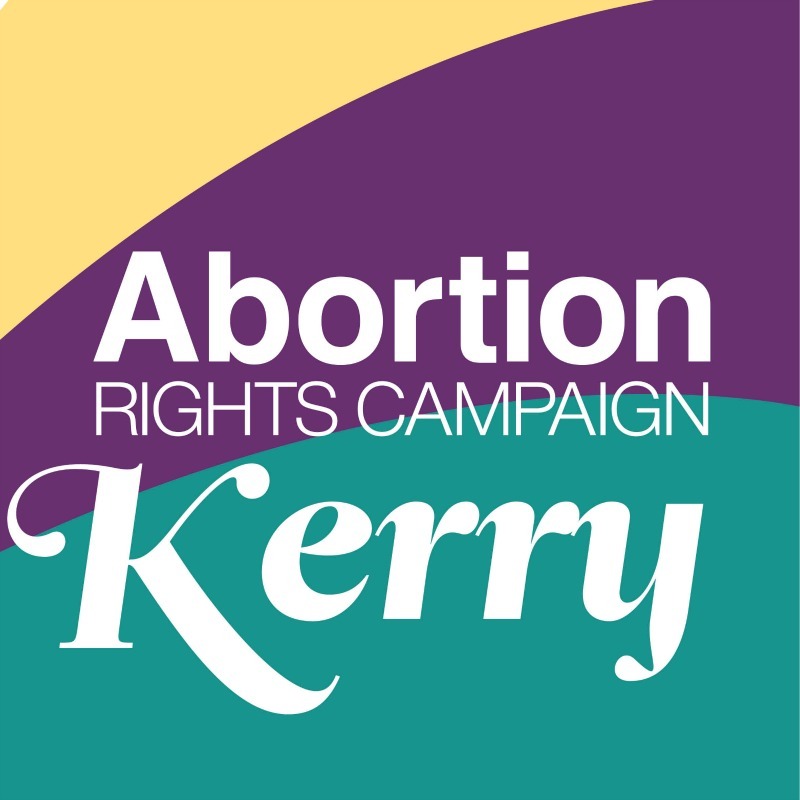 The UN Human Rights Committee concluded, on multiple occasions, that Ireland’s abortion laws under the Eighth Amendment are cruel, inhuman and subject women to degrading treatment. The Eighth Amendment also affects women who continue their pregnancies. The HSE’s National Consent Policy limits a pregnant woman’s right to informed consent or refusal of treatment. This is a direct result of the Eighth Amendment. The Eighth Amendment must be repealed, the healthcare provided to women and girls is compromised while it remains in our Constitution.